Click here to meet the 2018 ACBA Finalists. Winners of the AustCham Westpac ACBAs are announced at a gala dinner in rotating cities across Greater China each year. This year, AustCham Shanghai will host the ACBA awards dinner on Thursday May 17th. There will be media coverage from both China and Australia allowing the remarkable achievements made in Australia-China business to be broadcast to a wider audience. 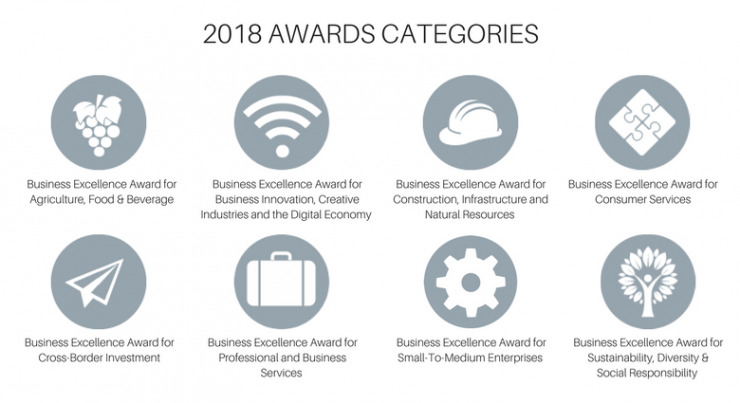 Amongst the many benefits that finalists and winners of the Awards program receive is participation in an extensive promotional campaign that reaches the media, government entities and leading business decision makers across Greater China and Australia. Please contact our Senior Partnerships and Projects Manager, Stephanie Smith with any questions about the 2018 ACBA program.